Ethan Happ had 20 points and 12 rebounds, and helped spark a 17-0 run that allowed Wisconsin to roar back from a double-digit deficit in the second half of a 69-60 win on Sunday night over Illinois. Happ, an athletic 6-foot-9 freshman, had three steals during the decisive run for the Badgers (17-10, 9-5 Big Ten), who avoided a potentially damaging loss to their NCAA tournament resume. Nigel Hayes scored 13 of his 17 points in the second half after being held without a field goal in the first half. Malcolm Hill scored 20 points and Kendrick Nunn added 15 for Illinois (12-15, 4-10). The high-scoring duo hit all the tough shots until the Illini became unglued in the second half. 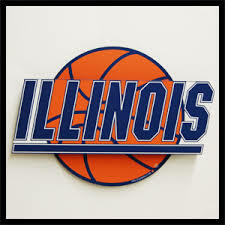 Illinois went more than seven minutes of the half without a field goal, and coach John Groce appeared unhappy at times with the officials with a foul disparity favoring Wisconsin.